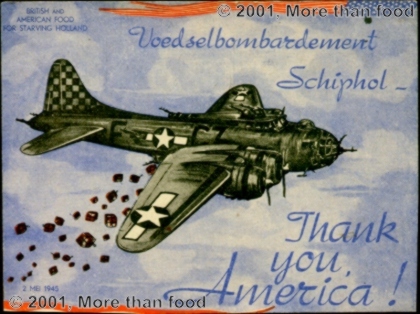 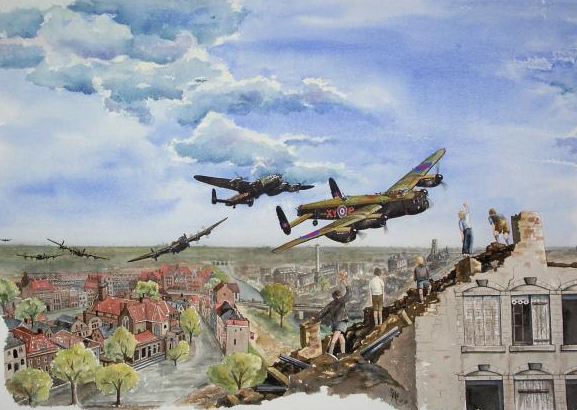 As you have seen on this website, the food drop missions ment a lot for the people in holland. 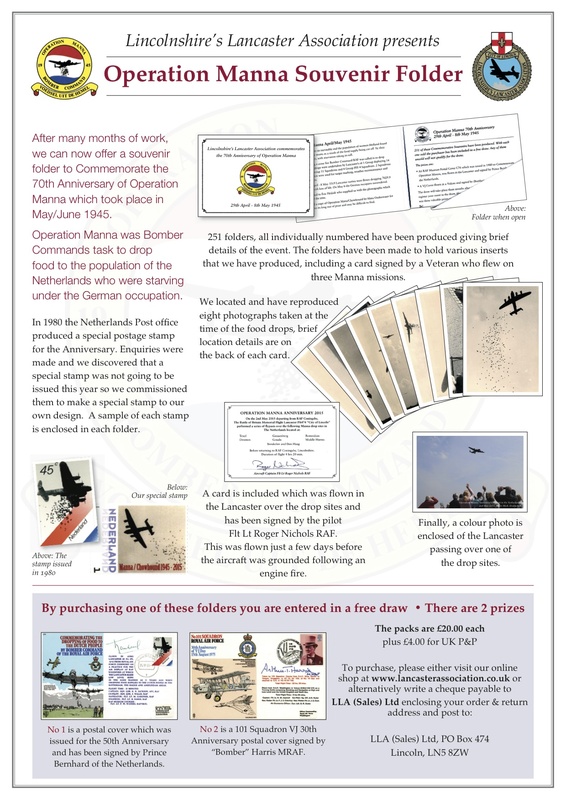 The people wanted to remember the event with memorabilia. 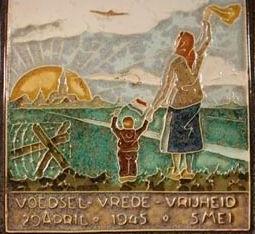 Tile of the Swedish Red Cross food aid in early 1945. 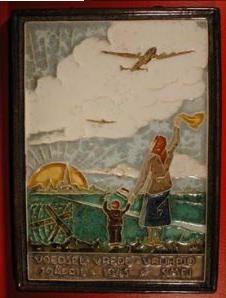 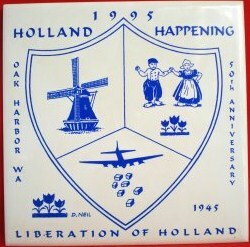 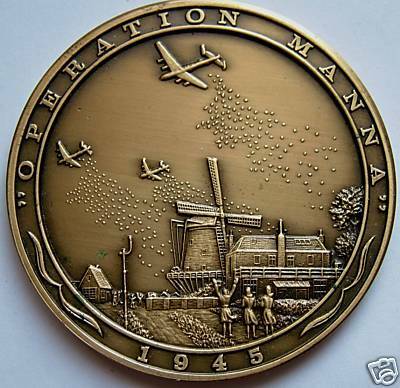 Tile commemorating the food drop missions. 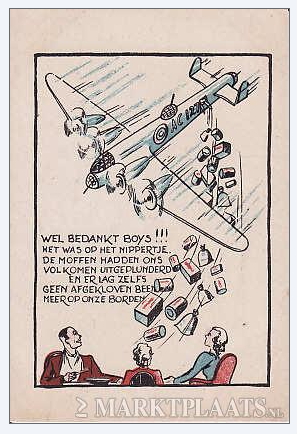 Liberation newspaper containing the food drop cartoon. 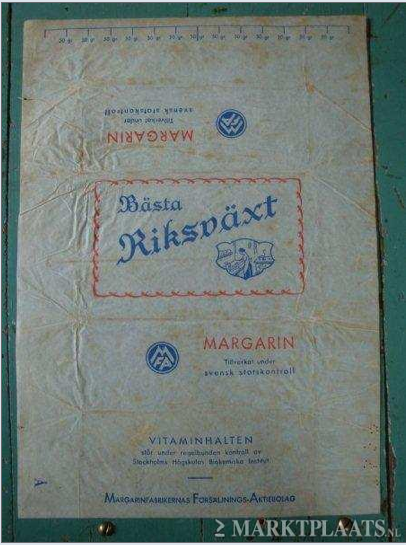 Welfare Biscuits cans. 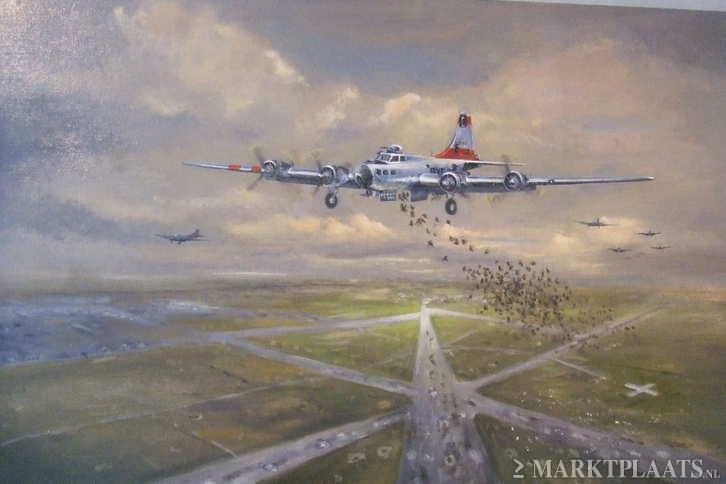 The cans where packed per two in wooden crates as you can see on the photo. 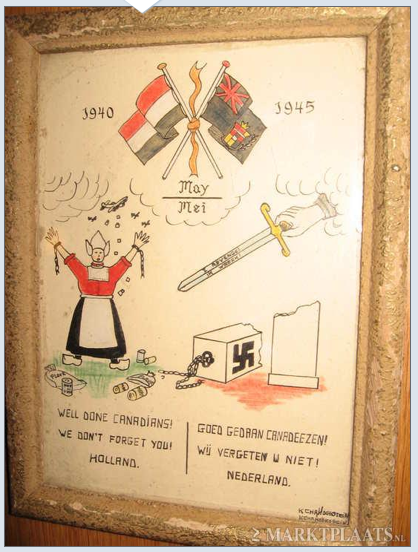 On top of the crate you can see the original biscuits. 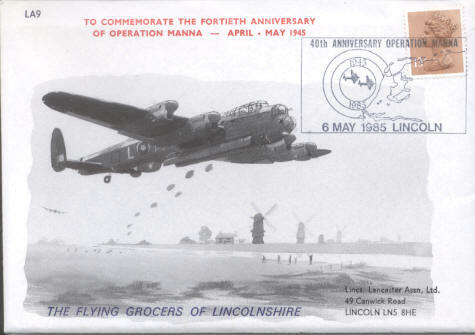 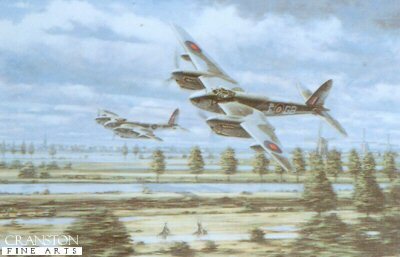 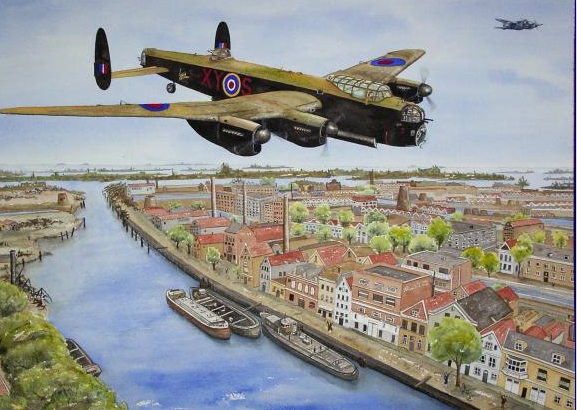 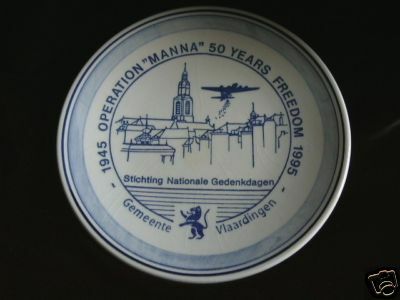 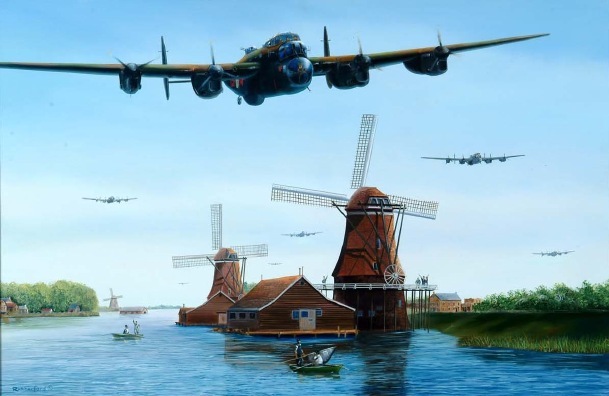 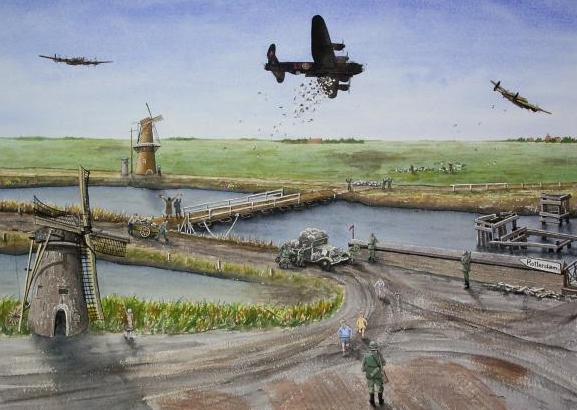 The biscuit cans where not dropped by the aircrafts but they came into Holland during operation faust. 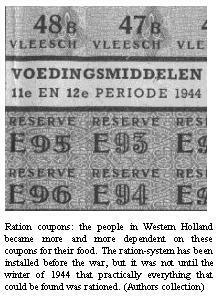 Food ration coupons from 1944. 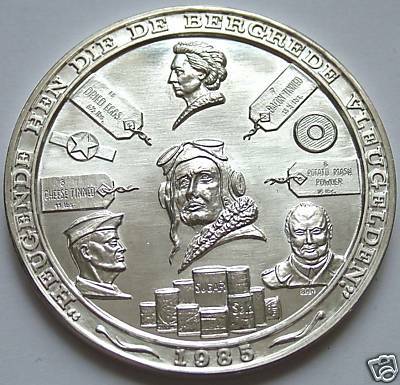 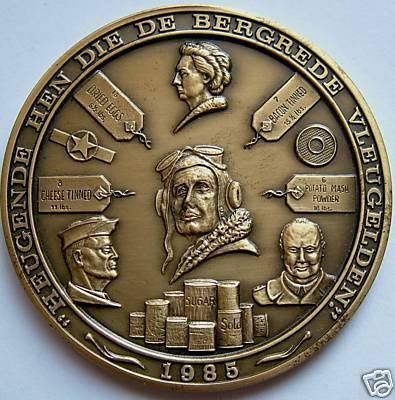 Medal This medal was given to the veterans upon their first official return to Holland in 1985. 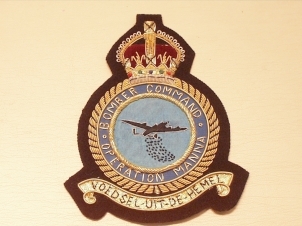 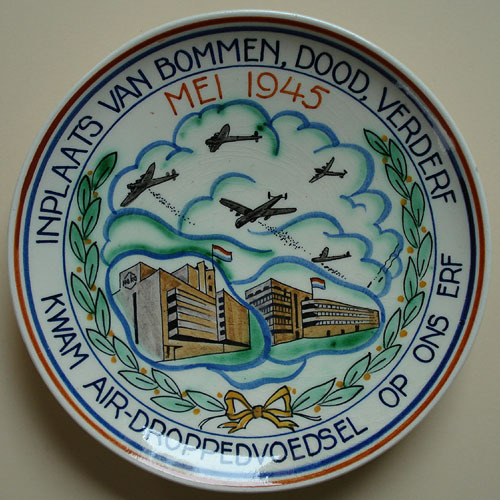 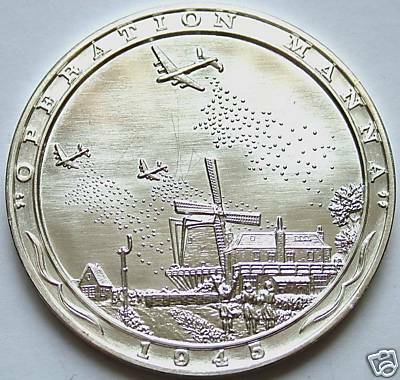 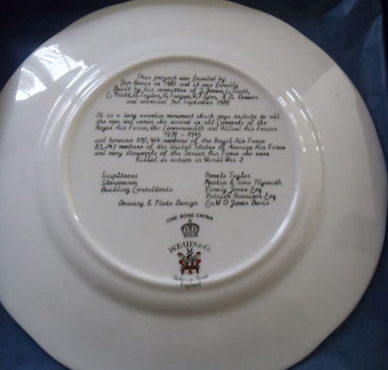 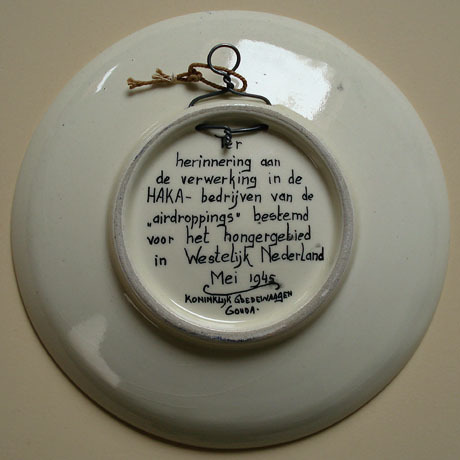 Commemoration plate - added 28 april 2010Text: "In plaats van bommen dood en verderf kwam air-dropped voedsel op ons erf (in stead of bombs, death and destruction, food dropped from the sky landed on our land)"
Designed by Ex-Rear Gunner Jim Davis who flew on Operation Manna in 1945. 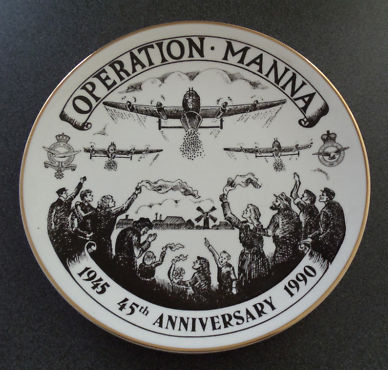 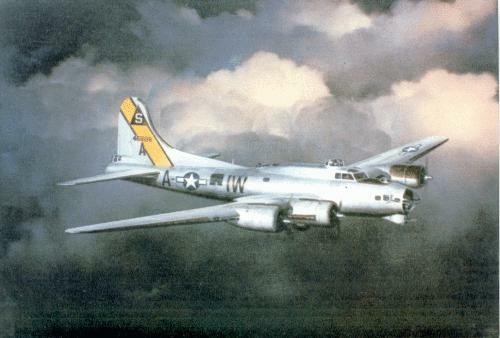 If you have a tile, postcard, or else that remembers of the food drop missions, than please send me a picture of the item and I will post it here.